At Particle Analytical we have been performing particle size determinations full time since year 2000. This means that we have seen almost all types of particles and are able to solve almost any issues that relate to this scientific discipline. Furthermore we we are approved by Malvern to perform GMP analysis of particle size and distribution using laser diffraction. Particle size determination is of extremely high importance in regard to processing and bioavailability of all pharmaceutical compounds. Particle Analytical performs full method validations in two weeks. Particle Analytical performs initial screenings and routine analysis (laser diffraction, microscopy, SEM etc). Contact us to ask further questions or to get a quote. Particle size distribution should be known – and controlled. Ultimately, this is in order to protect patients, but also to avoid unpleasant surprises during manufacture. Measurement of particle size is not an exact technique and a “true” value does not exist. 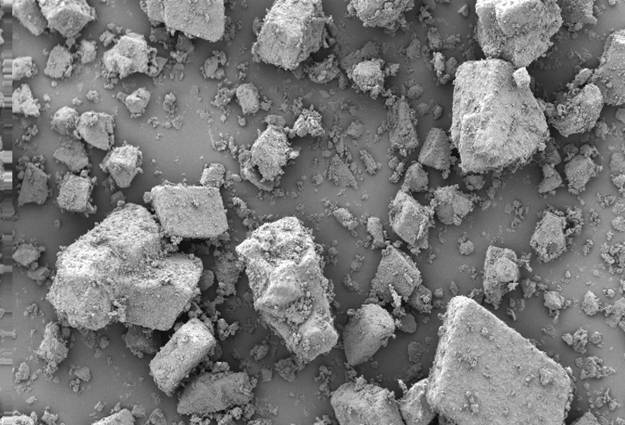 A range of analytical techniques is available for determination of particle size. In order to develop and validate analytical methods for determination of particle size, it is necessary to correlate several methods. At Particle Analytical we are able to perform various complementary analyses in particle size determination. The goal of all particle-sizing techniques is to provide a single number that is indicative of the particle size. However, particles are three-dimensional objects for which at least three parameters (length, breadth and height) are required in order to provide a complete description. Most particle sizing techniques therefore assume that the material being measured is spherical and report the particle size as the diameter of the “equivalent sphere” which would give the same response as the particle being measured. As most particles are not actually spheres, the value obtained by different techniques will vary and therefore the result obtained must be accompanied with details of the applied technique and method. It is especially important to remember that no absolute and “true” result is possible in regard to particle size- by definition! The way the equivalent sphere approximation works is shown below for an irregularly-shaped particle. The diameter reported for this particle will be dependent on the physical property measured by the chosen technique. We can deliver a fully validated method within two weeks. Contact us to get a quote – or to obtain further information about particle size determination.